Benefit from the speed, security, and accuracy of e-filing taxes in Conroe, TX. When you ask Pierson & Pierson, CPA'S PLLC, to do your electronic tax filing, you receive these advantages and more. Our seasoned tax preparers find you the greatest savings. Plus, we offer discounts on tax services to military members, firefighters, and police officers. The owner of our local accounting firm is a CPA with more than 28 years of experience in tax preparation, bookkeeping, and auditing for residents of Conroe, Houston, The Woodlands, Spring, and Kingwood, Texas. Let us offer you or your company the best in personalized service when e-filing on your behalf. File your return accurately and promptly by relying on our CPAs. We provide you with the latest technology when it comes to your taxes. 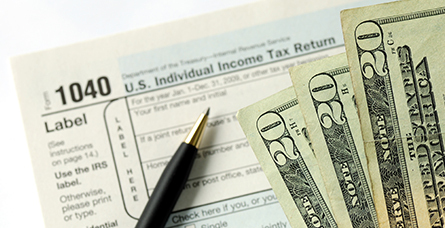 We provide electronic income tax assistance for all of our clients, whether for personal or business returns. It makes sense to choose this safe and secure method for filing. In addition, it speeds up the process of receiving your refund. Let us use technology to improve tax preparation for you. Our priorities are the same whether filing by computer or mail. We work hard to maximize your deductions and minimize any taxes you may need to pay. After all, we want you to receive the biggest refund possible. With our comprehensive knowledge of the tax code, we can find you deductions that you never thought to take. You know how important technology is to every aspect of modern life and business, including tax preparation. Entering everything electronically from start to finish saves time and money. It improves accuracy and results in a step-by-step process that is easy for the IRS to follow and access. All the pertinent documents are part of the electronic file. Would you believe that filing electronically is actually much more secure than sending documents by mail as you would with a paper return? With electronic filing, your personal or business information is encrypted and sent over secure lines for complete confidentiality. Remove the stress and worry of doing taxes. You do not need to learn how to do your taxes on the computer. Just leave that to our tax preparers. Our job is to prepare your taxes accurately, to minimize your paperwork, and to find you all the deductions we can. Contact us today for accurate, fast, and stress-free electronic tax filing. We provide tax preparation and bookkeeping, as well as financial and accounting services for residents of Conroe, Houston, The Woodlands, Spring, Tomball, Montgomery, Magnolia and Kingwood, Texas.